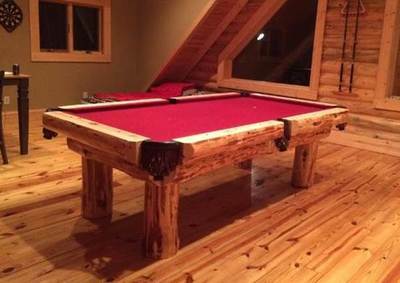 Rustic Log Pool Tables with Red Felt. 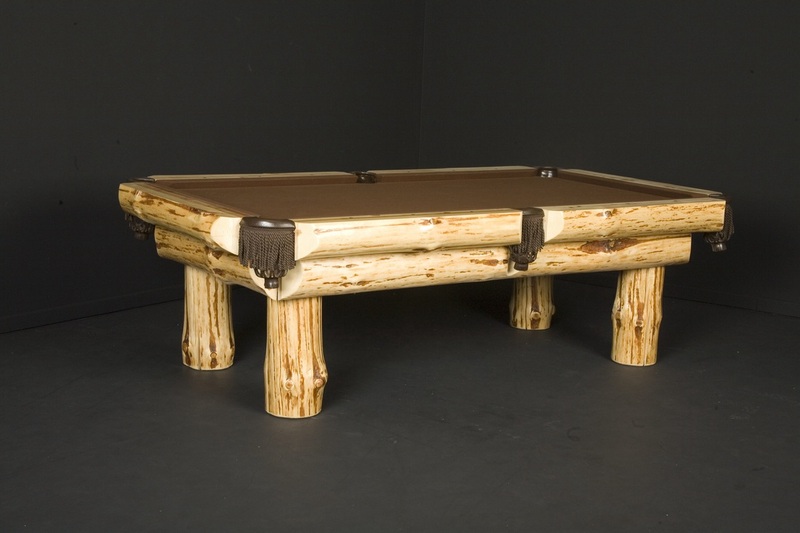 The Outback is a log billiard table that originated in the Northwoods. 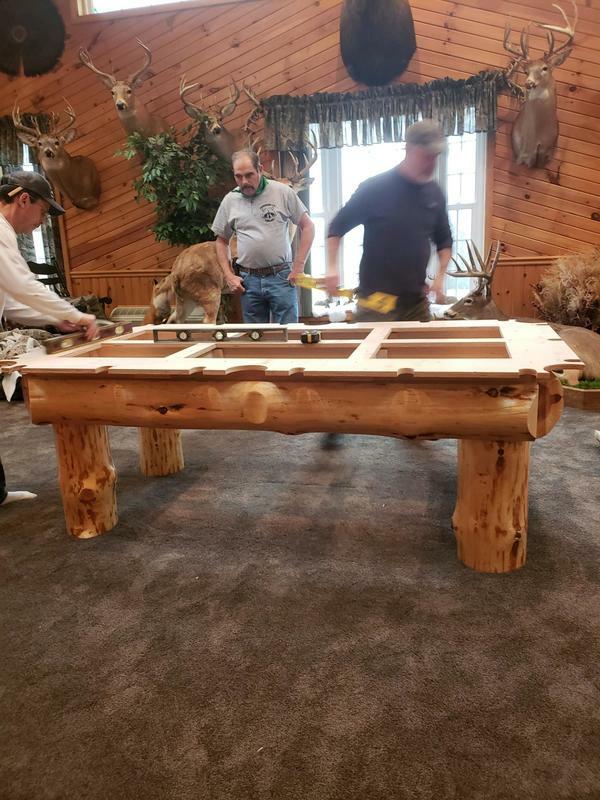 All of the logs are hand peeled using a drawknife. 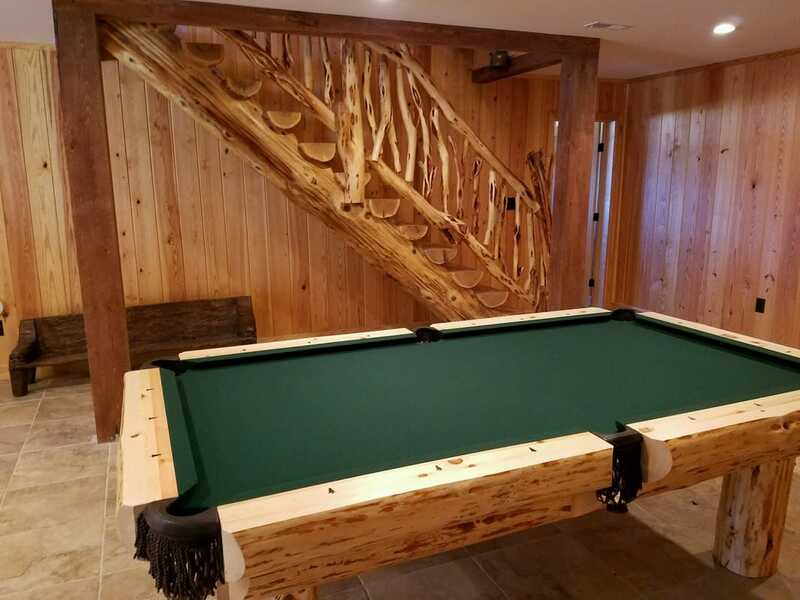 Each table is very unique as each knot has its own character. 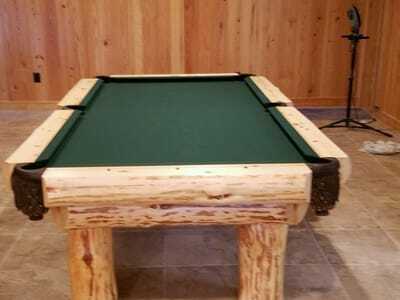 By not peeling off all of the cambium or bark with the drawknife, more of a contrast is created on the logs. This particular log pool table is perfect for the person who is looking for the more rustic look. With a personality all its own, you might think the Outback log pool table was designed by Mother Nature! 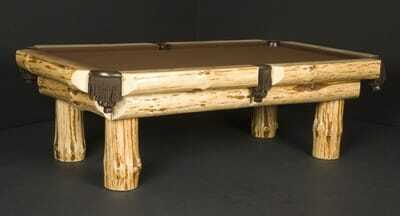 ​On the Outback Billiard Table you can choose your type of Spotting Points. 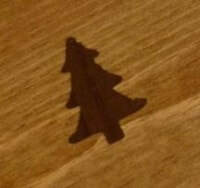 The Spotting Points to choose from are our signature pine tree spotting points which are cut from black walnut. 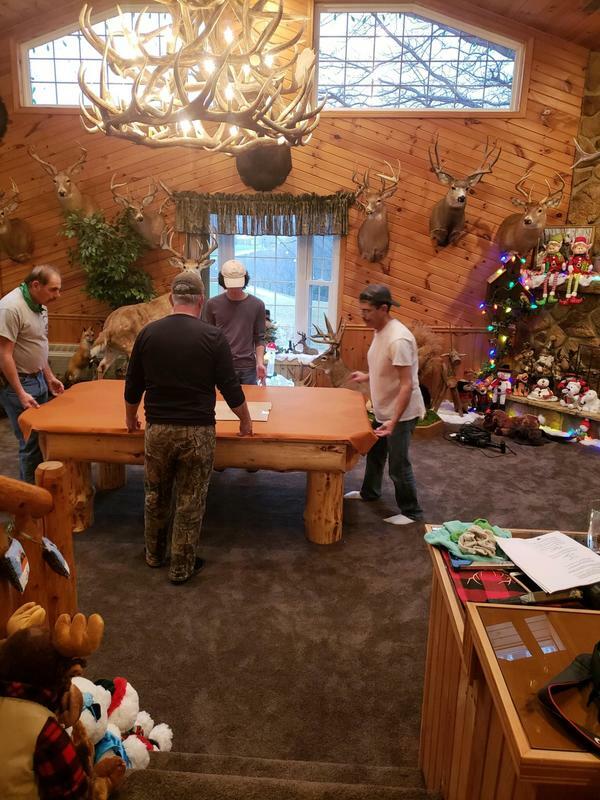 The other option is Lake Superior Agate Spotting Points. 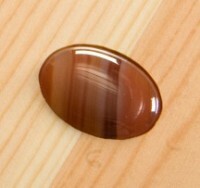 These agate spotting points have a lot of unique character since every agate has its own banding and color. Each spotting point is machined by a computerized router into the top rail to give each log pool table a rustic look. We Love Pictures of Our Clients' Log Pool Tables.